This SDS search is based on the latest manufacturer’s information and is designed to be a quick and helpful tool for our customers. PLEASE NOTE: Not all products have a SDS. Please click on the type of product or vendor for the item that your are searching for. Each manufacturer has a comprehensive list or search of SDS available for downloading and/or printing. This online SDS search tool is to provide you with access to the appropriate Safety Data Sheet. For most manufacturers, you can either search by Model #, UPC, Product Name, Vendor Name, or the manufacturers SKU. OSHA revised its Hazard Communication Standard (HCS) to align with the United Nations' Globally Harmonized System of Classification and Labeling of Chemicals (GHS). This system changes how manufacturers and employers communicate potential chemical hazards to employees. Due to this change, current Material Safety Data Sheet (MSDS) will be revised to comply with the new 16-section Safety Data Sheet (SDS) format under the GHS system. A Safety Data Sheet (also known as SDS) is a document required for specific products by United States Federal Law, 29 CFR 1910.1200. Manufacturers and importers of chemical products must produce a SDS for each hazardous chemical they produce or import. This law also requires U.S. employers to have a SDS in the workplace for each chemical that is in use. 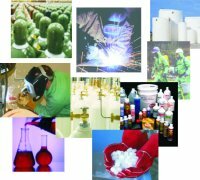 The SDS explains the safety and handling procedures and the hazards associated with the product and will instruct you on how best to respond to an incident. A Safety Data Sheet (also known as SDS) explains the hazards associated with the product, as well as what precautions to take to avoid those hazards.